Sense8 is one of those shows where you have to jump in whole-heartedly and accept that it’s going to be cheesy and ridiculous. If you don’t keep that in mind, then you won’t be able to appreciate its charms, of which there are many: gorgeous visuals, tight editing, a complex and mysterious overarching narrative, and earnestly lovable characters. 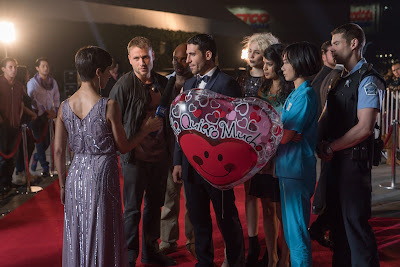 Of course, Sense8 also has its weaknesses: the show’s dialogue ranges from awkwardly expository to melodramatic, and the plot often seems overly-convoluted, leaving the viewer unsure of how much of a handle the Wachowskis and J. Michael Straczynski have on the whole thing. It’s certainly not a show that you can watch without starting from the beginning, so this review will make not a whit of sense unless you’ve seen both season one and the Christmas special (which is apparently being counted as the second season premiere). You can find the rest of this review on PopMatters.